2. Once all of the ingredients form a ball, place the ball on a work surface and knead the dough for approximately 10 minutes. 3. 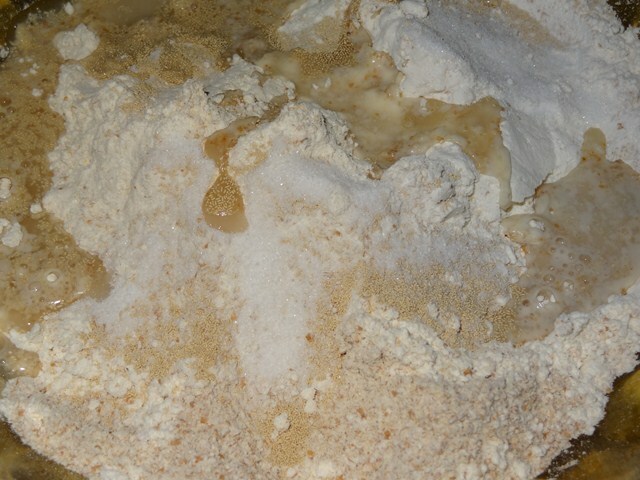 When you are done kneading the dough, place it in a bowl that has been lightly coated with Extra Virgin Olive oil. 4. Cover the bowl with plastic wrap or a damp kitchen towel and set aside to rise until it has doubled in size, approximately 90 minutes. 5. 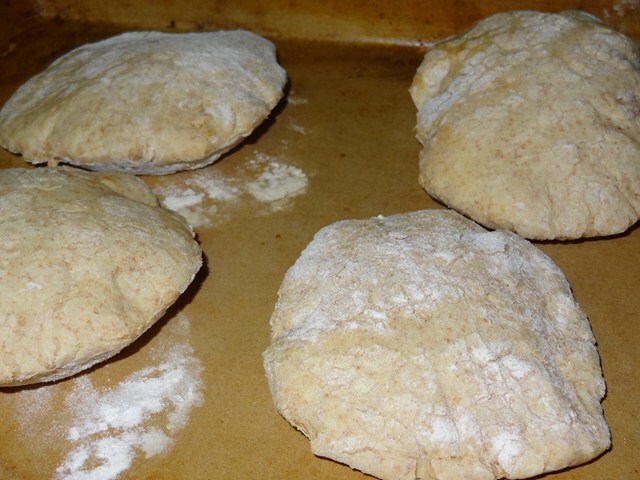 When it has doubled in size, punch the dough down and divide in the number of pieces you want. Roll each piece into a ball, cover the balls with a damp kitchen towel, and let them rest for 20 minutes. 6. While the dough is resting, preheat the oven to 400 degrees. If you have a baking stone, put it in the oven to preheat as well. If you do not have a baking stone, turn a cookie sheet upside down and place it on the middle rack of the oven while you are preheating the oven. This will be the surface on which you bake your pitas. 7. 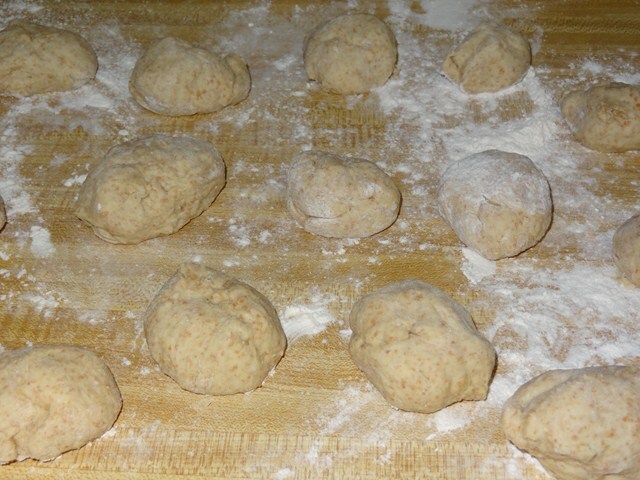 After the dough has relaxed for 20 minutes, spread a light coating of flour on a work surface and place one of the balls of dough there. 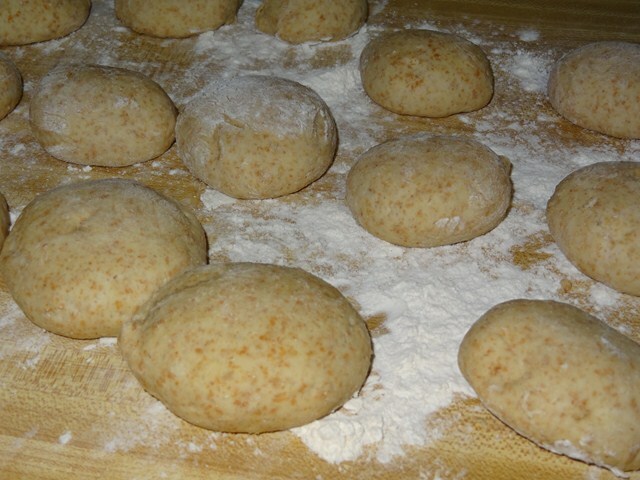 Sprinkle a little bit of flour on top of the dough and use a rolling pin or your hands to stretch and flatten the dough. 8. If you have a spray bottle in the kitchen, spray a light mist of water onto your baking surface and close the oven for 30 seconds. 9. 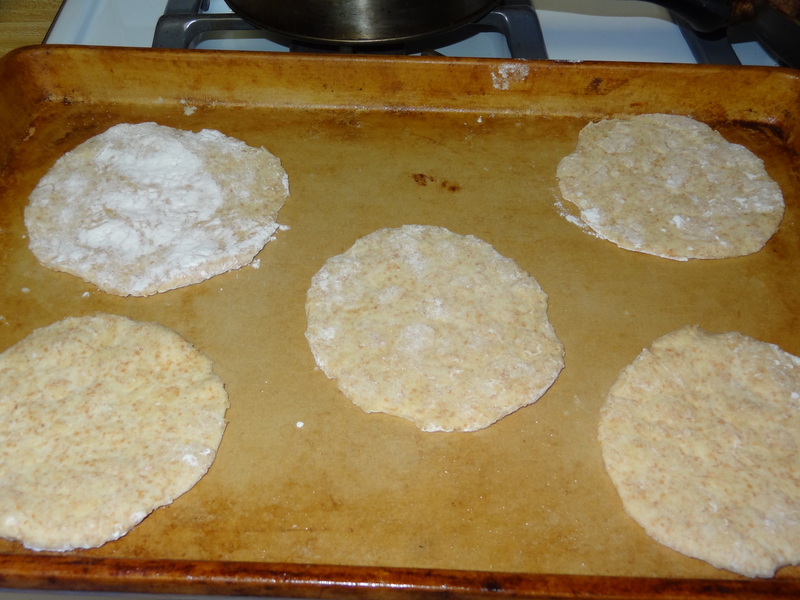 Open the oven and place as many pitas as you can fit on the hot baking surface. They should be baked through and puffy after 3 minutes.